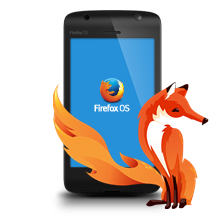 The free Firefox plug-in Web of Trust (WOT) is the security on the Internet. Based on reviews of at mywot.com registered more than 38 million Internet users who have rated millions of websites, the tool warns the user before visiting a classified unsecured site. In the toolbar WOT directed a circular icon one that their trustworthiness displays in different colors depending on the visited site: Green stands for trust and yellow urges caution. Once a classified as dangerous websites will be visited, the logo and red colors WOT shows instead of the website a warning (see screenshot). The tool also warns not only the direct surfing to an classified as potentially dangerous site, but also marks in the results of a search, the sites according to the traffic light color theory. The plug-in also protects mail accounts in Google Mail, Hotmail and Yahoo against phishing, spam and other e-mail scams. The use of useful tools is free, but requires an account with mywot.com. WOT is a start-up company in which, inter alia, the investment company of the Open Ocean MySQL founder Michael Widenius, the Finnish Industry Investment Ltd. and a number of private donors have invested. The company is engaged in the development and provision of software and services for the WOT community and is committed to greater safety on the Internet. WOT is a useful tool that alerts based on ratings registered with mywot.com users from dangerous Web sites. The designation of a site due to rating but has weaknesses. So harmless sites can be discredited by deliberate bad reviews. Ultimately, however, outweighs the positive impression. In addition, a marked as hazardous site is not blocked, but merely warned her. The user can therefore still decide whether he wants to visit a website classified as dangerous or not. WOT course does not provide one hundred percent protection from dangerous Web sites – eventually are graded only on the basis of ratings of registered users at mywot.com.